Now we know you all love a creative challenge…and that you all want to put your best foot forward and win said challenge! Well, you’re in luck because this week we've teamed up with Gina Ciancio, the woman behind The Style Curator, an award winning Interiors blog and home to the #stylecuratorchallenge, to bring you the secrets to Instagram challenge success! So if you want your styled image to catch the eye of a sponsor, or even a stylist scout, then keep reading and you'll be one step closer to the coveted winning prize. The Style Curator began in 2014 as a way for Gina to channel her passion for interiors, while providing valuable industry advice and serious home #inspo. In August 2016, Gina decided to run her very first Instagram photo competition, the #stylecuratorchallenge. With Zakkia homewares as the challenge’s very first sponsor, the entries came through hard & fast, and it was quickly evident that this was going to be a very popular and fun interior styling challenge. As Gina will be joining us this week as host & sponsor, we decided to tap into her vast experience with creative challenge entries to help you all nail your shot. Tell us a little bit about the Style Curator Challenge? 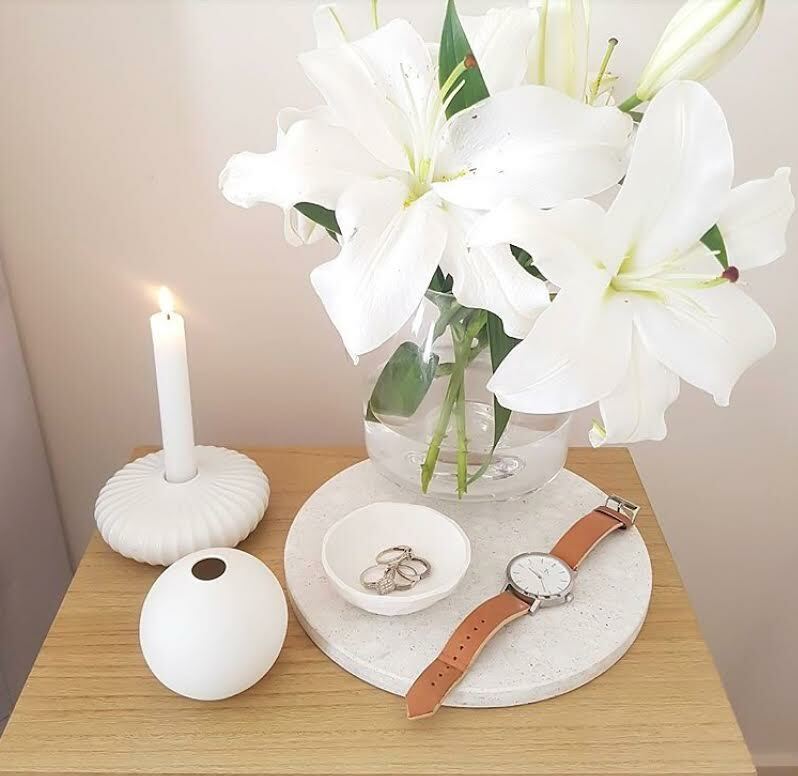 Essentially each month we partner with an amazing brand and set one small styling challenge around the home, such as to style your bed, laundry, your bedside table etc. On the blog you’ll find all the tips and inspiration you need to nail the challenge yourself. Joining in is always super simple, just upload your image on Instagram, Facebook, Twitter or Google+ using the #stylecuratorchallenge hashtag and by tagging us @stylecuratorau and the lovely brand that’s supporting the challenge. It’s a very similar format to Creatively Squared – and it works! What are the sponsors looking for, and how can someone make their image stand out? Each month it’s different. Because the brand that sponsors the challenge picks the winner, I think they look for an image that connects with their brand identity. For example, when popular cushion and textile label Pony Rider sponsored a challenge, they really connected with the relaxed living room styling of one of our followers who has a ‘wanderlust’ aesthetic which the brand is about. Whereas Zakkia have a very minimalist aesthetic so the image they selected reflected that. See my Top 5 Tips below! #stylecuratorchallenge is for everyone from beginners to pros. Don’t feel intimidated, we want you to join in! It’s not about being the best. It’s about having a little fun while creating a more stylish home. Here are just a few of the lovely #stylecuratorchallenge entries to date. Research the brand that is sponsoring and get a feel for their aesthetic & colour palette. Then use what you have to recreate a styled image with a similar feel. Ensure your images are clear & bright. Natural light always works best where possible, and make sure the centrepiece of your image is always in focus. Enter more than once! Experiment with changing the look about or sharing a photo from a different angle. Don’t be shy about joining in a few times, the more entries, the more chances! Make sure you tag your entry properly & are following us and our sponsor – this is a biggie! So many people have wonderful entries but fail to tag @stylecuratorau or the sponsor, or they are not following one or both. Often you will have a better chance simply by following the rules! Really understand the theme or prompt and think about different ways you could interpret it. For example, this week’s Creatively Squared challenge is all about ‘warmth’ – that could be an image that gives of a feeling of heat (chillies or textured knits, for example), it could be about warm colours, it could be about summer (for you Northern Hemispherians! ), or it could be about cosiness. Often the more creative it is, the better it is at catching our sponsor’s eye! Ok! So you're all set to put these tips to practice and create some eye catching images. We're really looking forward to seeing all your entries come through for this weeks 'warmth' theme.